I’m a Mason ambassador. We’re the tour guide[s] on campus. So we welcome prospective students. I’m in Pi Beta Phi. I was a new member in the fall of last year, so this is my second year in it. I’m also a part of Mason Spirit Squad and in addition to that, I’m involved on the Leadership and Community Engagement LLC. DO YOU HOLD ANY POSITIONS IN ANY OF THE CLUBS YOU ARE IN? For Pi Phi, I’m the new member coordinator assistant so I assist our new member coordinator to help our new members get ready for initiation. That would include helping them find a big as their mentor and then helping them to teach them the fraternity development and values so that way they are well immersed. I’m also on E-board for ambassadors. I am the Patriot Classic Director of Donations. Then finally in Mason Spirit Squad, I am the lead for our Instagram page. HOW DID YOU BECOME INVOLVED IN ALL THESE ORGANIZATIONS? 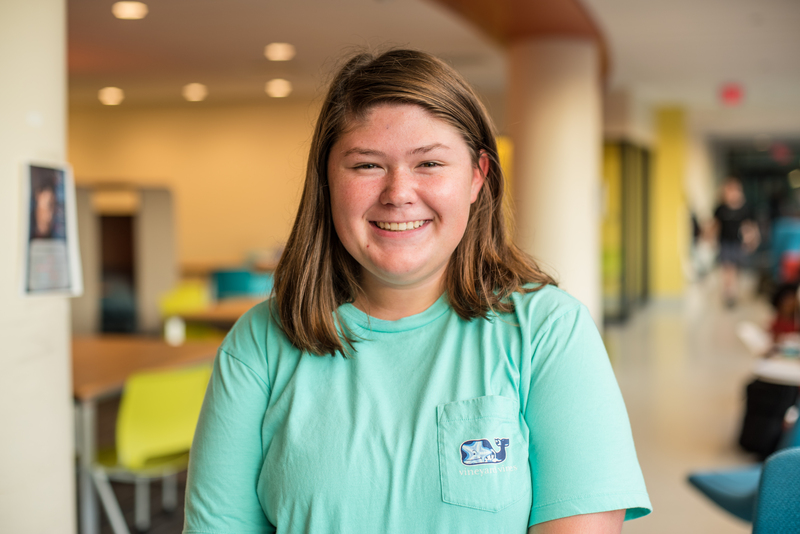 Being an out-of-state student, I wanted to get involved in as much as possible because I knew that that would be the easiest way to make friends. I knew by joining a sorority it would be 150 girls that would be there for me no matter what, and then within that group of girls I would find my close knit group of friends. And then same with Mason ambassadors, because I ended up joining that one first. WHAT MADE YOU WANT TO JOIN MASON AMBASSADORS? I really love Mason. I bleed green and gold, so I just like the idea of being the first face of Mason that people come to see when they tour and sometimes tours can make or break someone’s experience at a university. So being the positive person I am, combined with the fact I love Mason, I always give the best tour that I can. So that way I can help make someone’s decision if they’re on the fence or reinforce their decision to come to Mason. IS THERE A SPECIFIC INSTANCE YOU CAN THINK OF WHERE YOU TALKED TO A STUDENT AND THEY ENDED UP HAVING A BETTER EXPERIENCE BECAUSE OF IT? 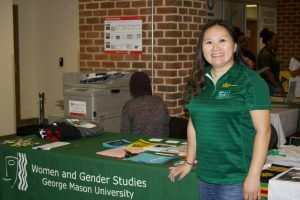 I was giving a tour one day and wasn’t having a particularly best day but knowing that I was the face of Mason I kind of had to put that aside and I gave the tour. I didn’t think it was the best tour I gave so I thought it was pretty average, but after the tour I was in the middle of the Johnson Center, and one of the mom’s came up to me and she told me that because of the tour I gave that day, her daughter had decided to come to Mason and they were going to put the enrollment deposit down. That was really exciting, because not only did that affect someone’s decision, but it also made me feel a lot better about the tour I gave that day. So I teach a class a year, depending on the year. Last semester I taught a course on Healthy Relationships. Next semester I’ll be teaching a course on Asian American voices. So, my courses are very Women and Gender Studies related, but it’s like special topics. A year ago I taught Introduction to Women and Gender studies and Global Representations of Women and Gender Studies. HOW DID YOU GET INTO WOMEN AND GENDER STUDIES? I was as an undergrad, I started out as an International Studies major. I was going to go conquer the world to do international development and when I went to grad school, it was a school for international training. I was going to go and do Peace Corp, and I found myself in India to do my practicum that a lot of the development comes from the U.S. and a lot of the turmoils in the name of development is from the Western world. I also face gender discrimination as a female. It made me think of my own community, and I started to really think about the issues of gender based violence when I was abroad, so that’s how I got into Women and Gender studies. It clicked for me. It came from a personal interest. WHAT IS ONE OF THE MOST INTERESTING THINGS YOU HAVE EVER DONE? I went skydiving. I thought I couldn’t do it, but I did it. I do prefer a rollercoaster over skydiving but I now can tell people, ‘I went skydiving.’ and jumped off at ten thousand feet from the ground. So, yeah, I’m a risk taker in terms of heights. YOU MENTIONED YOU WERE IN INDIA, WHERE ELSE HAVE YOU TRAVELED? I have traveled to Loas, I have traveled to Thailand, I’ve traveled to India, Nepal, Japan and last Christmas I went to Hawaii. My birthday is on Christmas day, so every winter break I get to celebrate my birthday in different parts of the world. And I’ve been to Burma. WHAT WAS YOUR FAVORITE COUNTRY YOU HAVE VISITED? A country that has impacted my life is India. It changed me, how I see the world, how I do my work in terms of social justice and Women Gender studies. It was just a very traumatic experience, but it was a very life-changing experience so I would probably say it would be my favorite because of its meaning. My biggest strength…reflecting on the last week and a half, just being welcoming and making sure whoever comes my way is being welcomed and being acknowledged and that they matter, so being inclusive. Being inclusive, that’s one of my strengths, inclusive and being a connector. WHAT IS A QUALITY YOU LIKE YOUR STUDENTS TO HAVE? To know their story. Coming from my own experience, to know where you come from and where you stand in terms of your own family and your community…sometimes it’s a hard process depending on what has happened in the past. My past has been involved in family violence, so it’s a place that is full of hurt but has also made me stronger, to go back and make sense of things and know your story, cause your story is as powerful as you are. When I was an intern for NBC’s Meet the Press in college, Savannah Guthrie (the current co-anchor of NBC’s TODAY show) was guest-anchoring, and when I went to get a picture with her, she told me I was a sharp dresser. It’s a small thing and the compliment itself wasn’t “the best” per se but hearing it from someone like her made it great. 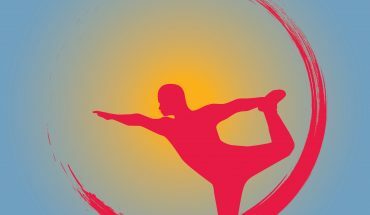 WHAT DO YOU CONSIDER TO BE YOUR BIGGEST STRENGTH AND WHY? I think my work ethic/drive is my biggest strength. I’ve always had the ability to stay focused and driven on a task I set my mind to and that is crucial for a job in broadcast journalism. Without that strength, I don’t believe I would have been able to start my career at all. WHAT DID YOU ENJOY MOST ABOUT GEORGE MASON UNIVERSITY? I really loved being in such close proximity to Washington, D.C. It allowed me to not only have fun socially, but intern with major news organizations that were key to getting a job after graduation. 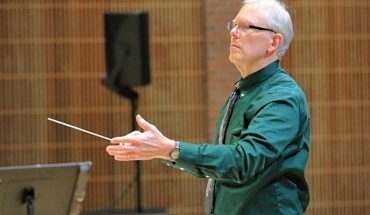 I was also a Patriot Leader which was definitely a stand-out time for me at Mason. WHAT ADVICE DO YOU HAVE FOR CURRENT GEORGE MASON STUDENTS WANTING TO BE A BROADCAST JOURNALIST? 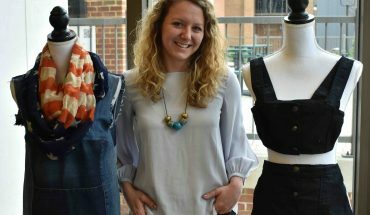 My biggest advice would be to get involved in student media, do internships and write. You can only do so much in the classroom, so getting good experience in writing your own content and learning from experienced journalists is key. I would not be working today without my internships in college. Take advantage of being so close to Washington, DC because it is a rare opportunity. I am the noon anchor and a reporter for WCAX, the CBS affiliate in Burlington, Vermont. 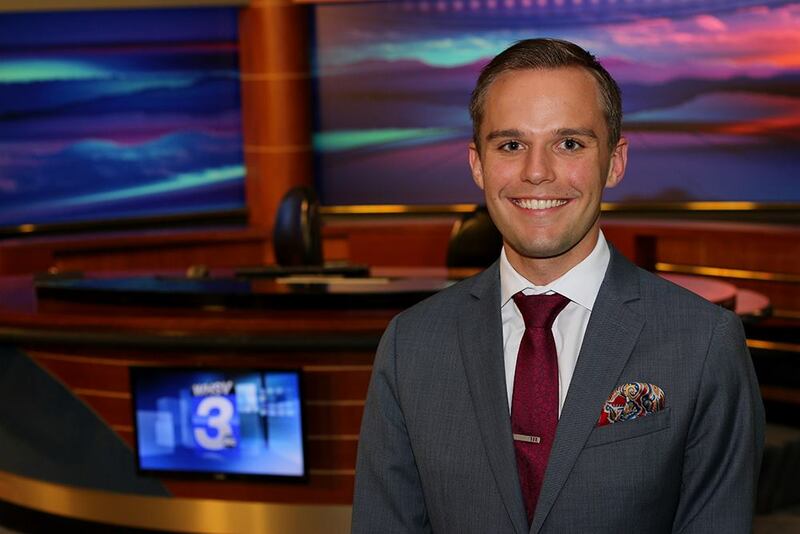 I started my career three years ago at WHSV, the ABC, CBS and FOX affiliate in Harrisonburg, Virginia. After working my way up from a web producer to a reporter and then a reporter/anchor, I decided to move onto Burlington where I am now. 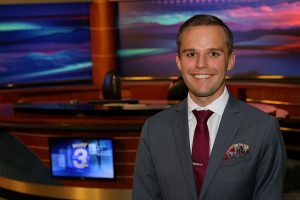 I would not have been able to land my first job at WHSV without my internships at NBC’s Meet the Press, the NBC political unit and as a collegiate correspondent for USA Today College. I also did an internship at a local TV station in Charlottesville, Virginia. My experience working in student media at Mason was also so beneficial because it gave me an opportunity to write and edit content. When I applied to be moved from my web producer job to a reporter at WHSV, I remember my news director telling me that he had seen my writing. So it’s very important to create your own content, whether its video or written. WHAT IS YOUR FAVORITE STORY YOU HAVE REPORTED? I get to meet so many interesting people and learn about so many different things every day so it’s always hard to pinpoint what my absolute favorite story has been so far. I also end up doing a lot of harder news so the feature stories I do end up being some of my favorites because they stick out. One I really enjoyed was a feature I did at WHSV with a man who rode around a local hospital in a decorated scooter around Christmas time and gave toys to kids. It was a lighter story that was super fun to tell. BESIDES BROADCAST JOURNALISM, WHAT IS A HOBBY OF YOURS? WHY DO YOU LIKE THAT HOBBY? I’ve always been an avid runner. I’ve slacked off a bit since moving to Vermont, but hope to get back into it and (eventually) run a half-marathon. HOW DID BEING A PATRIOT LEADER AFFECT YOU? I think about my time as a Patriot Leader all the time. It had such a huge impact on my college career and my professional career. I felt kind of lost when I came to Mason as a freshman. 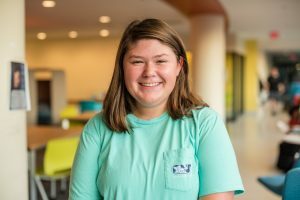 I was from a small town and wasn’t really sure I actually wanted the big college experience I thought I did. I also knew I wanted to do broadcast journalism, but felt overwhelmed. Becoming a Patriot Leader really saved my experience and gave me a purpose. The whole experience taught me so much about leadership and work ethic that I will always be grateful for. Not to mention, the public speaking opportunities helped with my work in broadcasting. I met lifelong friends and have so many memories of being a Patriot Leader, it was such a rewarding experience. Austin Lazo, President: Patriot Pitches is an acapella organization. We try to spread our love of music and that pure joy through outreach. Whether that’s to different organizations on campus or on campus events or even in the local Fairfax area. We just try to sing what people want us to sing and try to make some smiles happen. WHAT SONGS DO YOU GUYS SING? Alex Bertke, Vice President: Broadly pop music. We survey our members about what they are interested in doing, we arrange all of our own material now so we do things as diverse as “Somebody to Love” by Queen going back to the 70’s to “Demons” by Imagine Dragons as a more modern song. We tend to keep it in the pop tradition. WHAT’S YOUR FAVORITE MEMORY OF PATRIOT PITCHES? Zeeshan Tirmizi, Music Director: From my part, I studied abroad last semester so our group basically, most of it changed up last semester. So half of us are seniors, and half of us are sophomores. So to come back a semester later, for me it was phenomenal to hear how much they’ve improved between the year, because each year for us, or at least each I’ve been in the group; This is my fourth year now, we’ve steadily improved but it’s always been a small and steady [improvement], within the one semester I was gone it went from decent to pretty d— good. So that for me was one of the most memorable moments. Lazo: I would say the one that sticks out to me is definitely the first time we performed at the Fairfax Government Center which was for the first time we sang at the Adoption Ceremony there and we’ve been doing that every year since, which was in 2015. That I see was a big turning point as to the direction of our group and the standard to which we’ve kept ourselves, because prior to that, at least from what I’ve been told, it was more of a impromptu kind of ‘let’s just sing, see what we come up with’ kind of thing.’ But for that specific performance, that was the first one where it was like we’re learning an arrangement, we didn’t do choreography because we weren’t to that level yet, but we were line, ‘We’re going take this seriously, and we want to give them a good performance’ so that was probably the first one where it was a turning point. HOW DO YOU WANT TO SEE PATRIOT PITCHES GROW THIS YEAR? 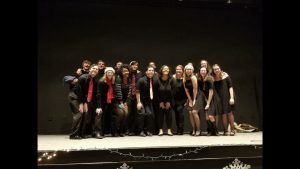 Bertke: Okay, so this year, we hope we’re going to be able to participate in the ICCA’s, which is the International Championship of Collegiate A Cappella. It’s the same competition that’s featured in the “Pitch Perfect” movies. We’re also, pretty soon we’re going to start recording an album because we have ten original arrangements. We’re hopefully getting the studio pretty quick and we will have a full length album, hopefully ready to ship, hopefully by summer of next year.